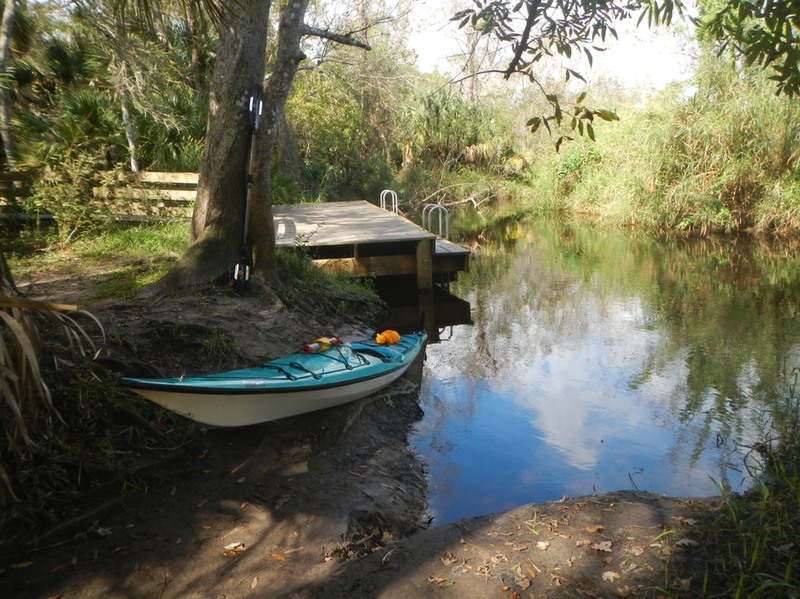 The canoe launch near routes 510 and 512. 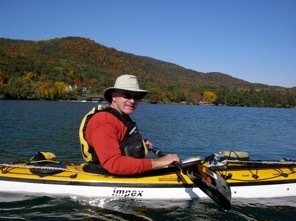 This was my first time out kayaking alone after my little heart issue this summer. I used the occasion to test out the refurbished rudder system on the 12 year old Necky Elaho I had purchased, and observe some wildlife. 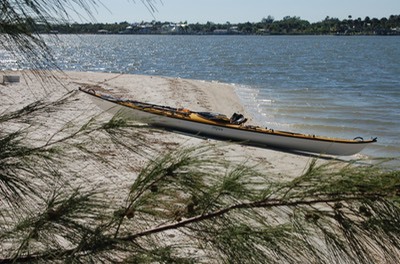 I paddled from Dale Winbrow Park to the canoe launch near where routes 510 and 512 intersect, a distance of about six miles each way. 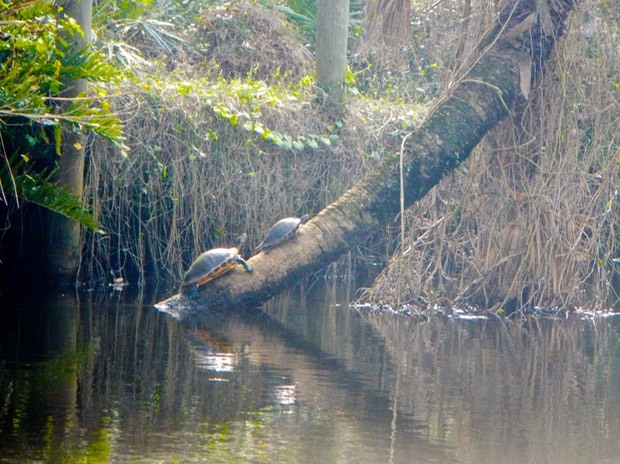 The St. Sebastian River was full of wildlife on this day. 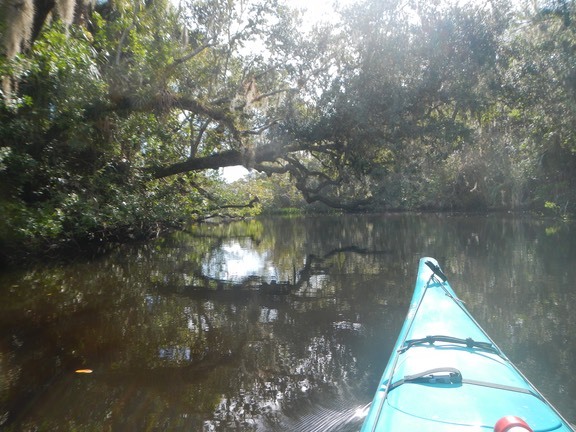 I saw many large Great Blue Herons, several Little Blues, lots of turtles, more alligator than I had ever seen on the river and a huge manatee feeding in the shallows. The Elaho paddles great! It edge turns like a dream. The rudder system was sticking when turning to the left. Eventually I discovered that I had fed the rudder cable improperly on that side and it was wedging in a crack. I have since rerouted the cable properly. The video below covers all of this.